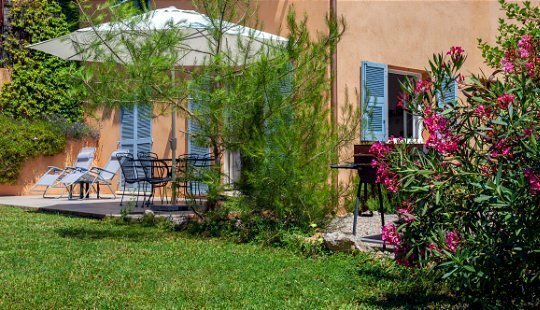 Sunny self-catering holiday rental on the Côte d’Azur, 15 minutes from the Med and 30 minutes from the mountains. Lou Messugo, ideal for couples and small families, has one bedroom but comfortably sleeps 4. Very family-friendly with baby equipment and plenty of outdoor space. The weather is sunny here whatever time of year you visit, so you’re sure to spend as much time outside as inside. One of the great things about Lou Messugo is that the living space opens onto the terrace and overlooks the garden and its majestic pines. What better place to enjoy your morning croissants and coffee! 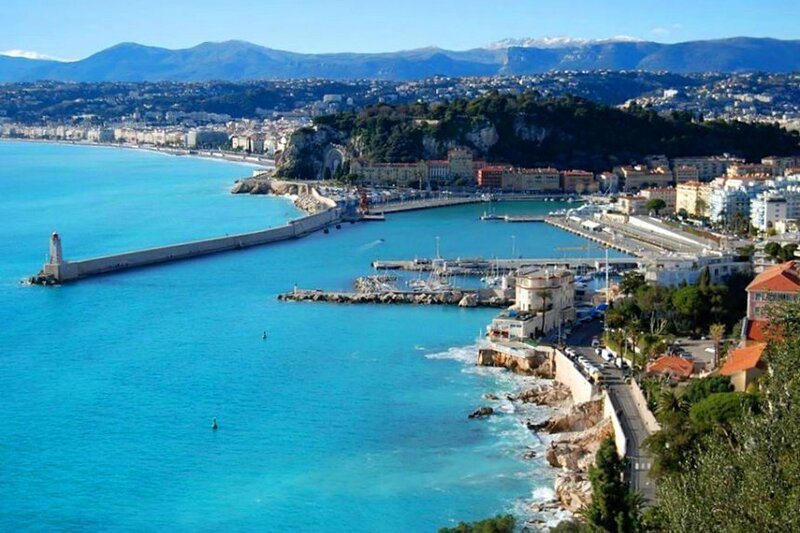 Lou Messugo is situated in the village of Roquefort les Pins, midway between the beautiful azure Mediterranean sea and the soaring mountains of the Southern Alps. This area is justifiably famous for its gorgeous landscape, lovely climate, dramatic coastline and world-class culture, making it an ideal place to have a holiday. For art, food, beach culture and adventure sports the area is unbeatable.